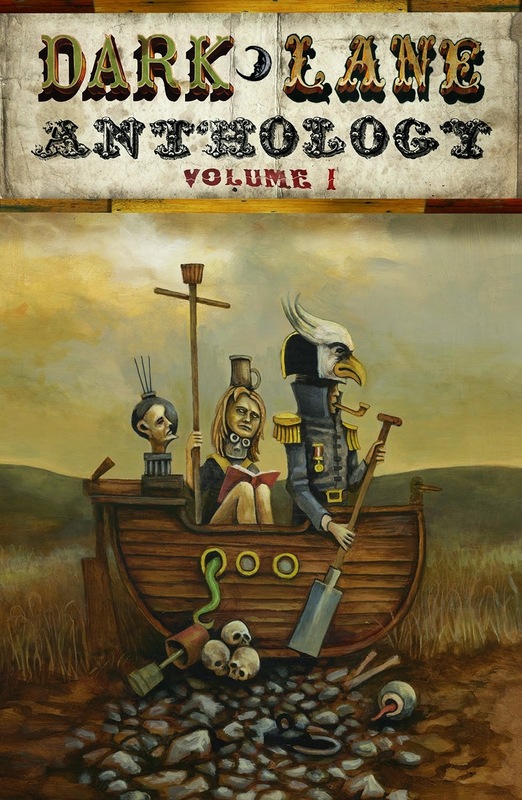 This collection, published by Hic Dragones, consists of twenty-one short stories themed around the idea of 'other worlds'. It is not, strictly speaking, a collection of supernatural tales, nor even so-called strange tales. 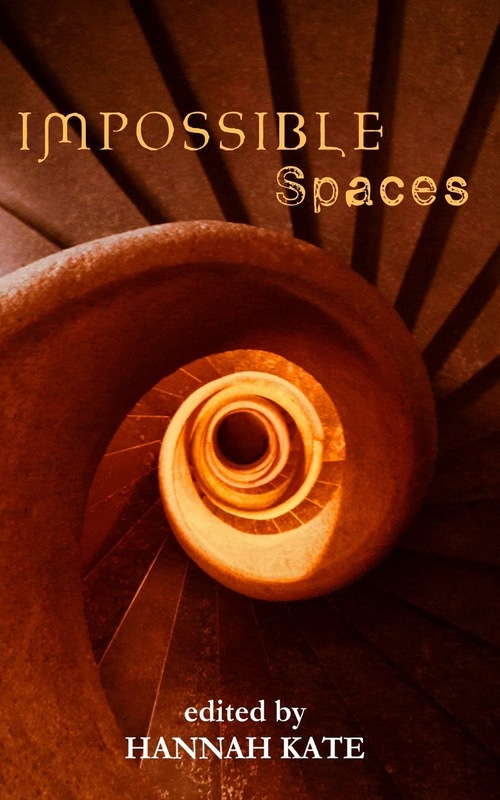 More an eclectic mix from some excellent writers, some better known than others, giving their takes on the idea of a place that exists somewhere between the familiar and the unknown. Some of these impossible spaces are represented psychologically, some physically. Opening up proceedings is The Carrier, by Daisy Black, a bleak and claustrophobic tale involving both approaches. The protagonist tells her tale of being taken from her family as a child and leading a life of drudgery as a carrier; that is, being confined within a spiral staircase, taking objects up and down the steps, at the behest of a 'strange master' living at the top of the tower. The staircase becomes her whole world, the number of steps known to her by heart. That is until she starts to take an interest in the objects she carries. One day she is given an astrolabe to deliver, which becomes the precursor to greater knowledge and the expansion of the world within her mind. She begins to examine all the strange objects she carries, eventually obtaining a strange enlightenment, resulting in role reversal. A different kind of space is involved in Mistfall, by Jeanette Greaves. Luke is killed in a car accident, leaving Georgia, his wife and his passenger, unscathed and with a sense of survivor's guilt. The fog which had concealed the jack-knifed lorry returns to her increasingly over the ensuing years, becoming a welcome world of its own into which she gratefully disappears, finding some kind of peace at last. Rather less inviting is the nether-land at the crux of Nepenthes by Keris McDonald. This is a gritty and tense tale of Council cleaners assigned to Campbell House, a tower block in Howe Farm, a very rough housing estate. Brian is partnered with Alan, a more experienced operator, and they are subjected both to abuse by tenants and the filthy, thankless task of cleaning the place. The oppressive atmosphere is having its effect upon them by the time they reach the seventh floor, when they get to the end of a dark, forbidding corridor and smell something bad from behind the door of a flat. They call the police, and after a nerve-wracking wait, inexplicably they find a constable walking through the car park who helps them investigate. "Do policemen get lost?" Brian wonders. Nevertheless, they break in to the flat, finding flies and cockroaches but not much else. Until, that is, they check in the bedroom; a black place into which more than just light is sucked. This is a satisfying tale of urban squalor, and one of my favourites here. Sharpened Senses has a fascinating premise, that of someone being able to see more than the usual number of colours, and therefore witnessing things that others do not. As such, Miss Ebisawa is a Tetrachromat, having to wear a blindfold to avoid seeing ghosts and monsters normally invisible; unable to function normally, she has checked herself into an asylum, and sits in a white room. She is studied with interest by the doctors, who believe her problems are psychological. The circumstances of her disappearance, however, provide more questions than answers. I found Great Rates, Central Location by Hannah Kate to be most intriguing. A Sisyphian tale about the tribulations of Sarah, who has misguidedly booked a few nights in the very cheapest of the chain hotels in Manchester, it conveys the sense of dislocation felt in such circumstances. This is worsened for her by waking up the next morning in a different hotel room; one without windows (this premise recalling Aickman's The Hospice of course). She also finds herself strangely transformed, and about to be captured by the hotel itself; by which time the price she paid no longer seemed like a bargain. The Meat House by Maree Kimberley is a powerfully written and bold tale, but perhaps the most literal of the stories here, and a little too gory for my taste. By contrast, The Hostel is the closest to a conventional ghost story in the collection, investigating what seems like a parallel universe accessed from a tiny room in a hostel. Blurring reality with hallucination, with humour and a delightfully light touch, its message comes across clearly; everyone has their own unique reality. 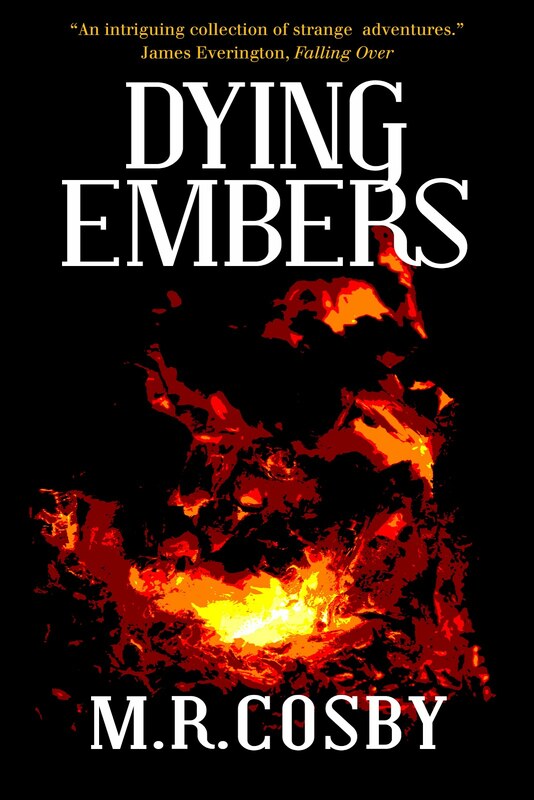 I enjoyed the rest of these stories, particularly The Place of Revelation, Unfamiliar and Bruises, and no weak links are present. 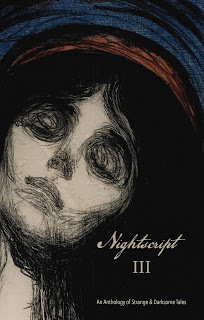 An eye-catching cover and good design and production by Hic Dragones (I have the kindle version) add up to an important collection that every fan of short stories, be they ghostly, strange or weird, should read. Thanks for the comments, Paul. Yes, I've seen the video too, and I've been experimenting myself, with mixed results! 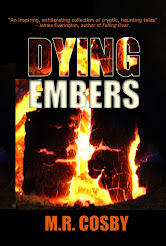 Dying Embers – it's nearly here!